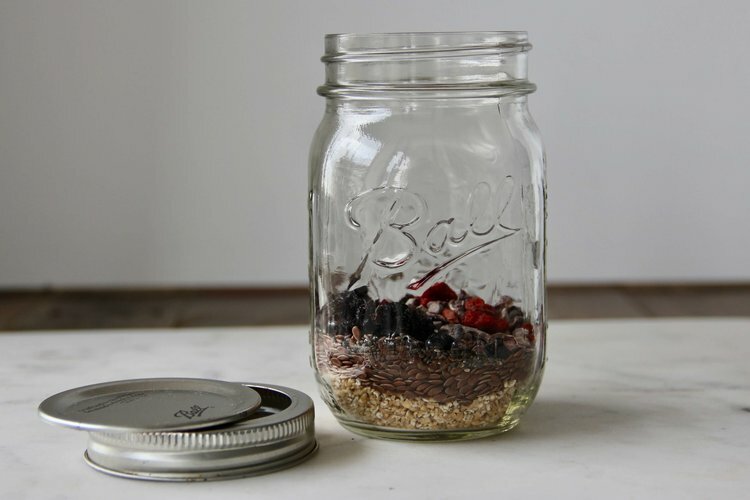 These Oat Jars are easy to make, can be made in bulk in advance and are very portable! We bought these mason jars in a 9 pack from Kmart. You can exercise a bit of creativity with this as well because you can add just about anything to this mix to make sure you are hitting your macronutrient numbers. Oats pack a powerful punch of energy so you want to be consuming this anywhere from 90 minutes before you train to 90 minutes post training. This is not a breakfast option if you are a night time trainer! 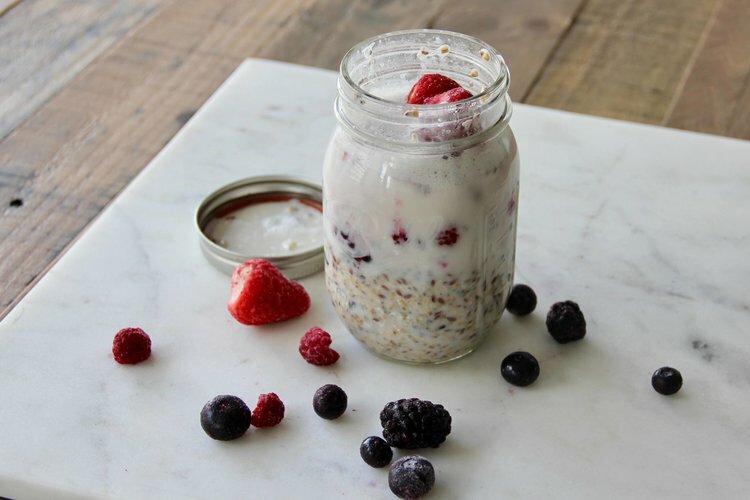 People always ask us about oats since there are so many options out there – steel cut oats are great because they are the least processed, rolled oats are fine as well and easily broken down. Oat bran is the fastest absorbed so if you only have 30-60 mins before a workout, choose oat bran. 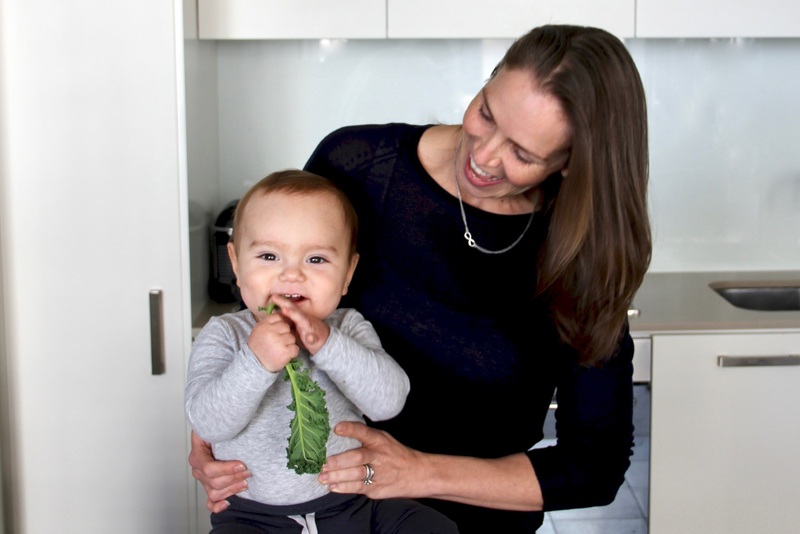 You want your muscles taking up that glycogen as quickly as possible so you can get the most out of your training session. Place all dry ingredients in one jar. 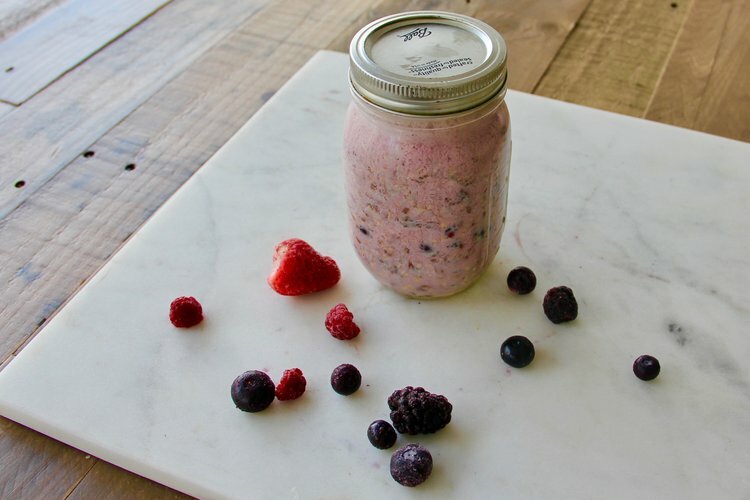 If making these in bulk, fill all jars with the dry ingredients and seal for later use. These jars are fabulous because they have measurements etched in on the glass so you know how much liquid you need to add! 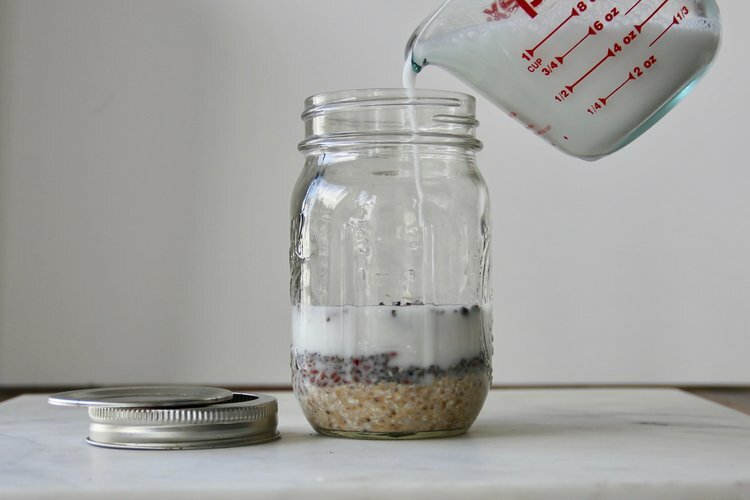 The first time you are filling, measure out 1 cup of almond milk and pour in. Check the level on the side and now you can easily pour directly into the jar to this line from now on. Only add the milk if you plan to consume this the following morning. 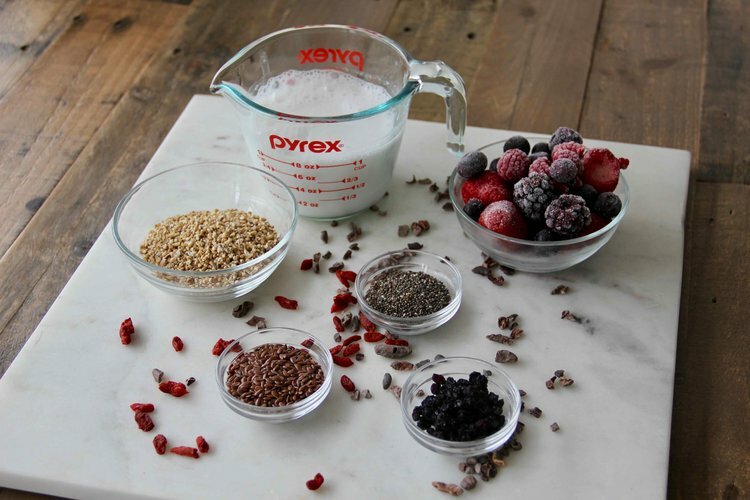 Add your frozen berry mix of choice, seal again and shake a few more times over then next 10 minutes. 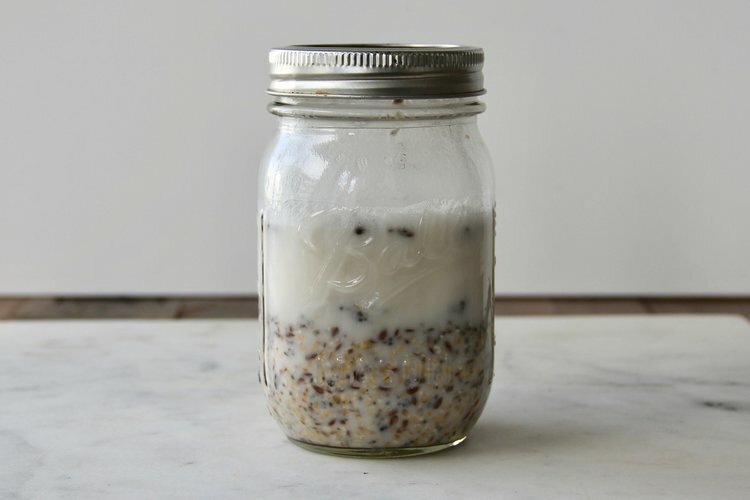 The chia seeds will set and suspend in the jar. if you forget to shake, they will set at the bottom leaving you with a thin liquid top half and a very thick bottom half! Place in the refrigerator and enjoy the following morning pre / post training! You will be amazed at your energy levels and performance in the gym!